Given a choice almost every guitarist would use a valve amp. But there are several advantages to solid state amps and these advantages ensure that they out-sell valve amps at least 10:1. They are far cheaper to produce and hence to buy. They are virtually maintenance-free (e.g. no expensive valves to replace). They are often a LOT lighter - important when gigging. They offer a range of built-in effects and channels over and above the simple tone controls usually available on valve amps. 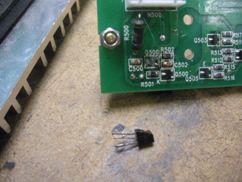 Almost every transistor amplifier repair I undertake has a definite, fixable fault. In contrast, almost every faulty valve amplifier I see is often the tip of the iceberg and the amp needs further work (particularly true with older gear). Common faults in transistor amps are blown output transistors and noisy pots (they use very cheap pots in amps these days). It is always very useful for me to know exactly how the fault occurred. For example, one customer recently brought in 4 combo amps, all blown with a variety of problems. Fortunately he told me they had all been used in a gig recently and had all 'blown up' during their set. Further enquiries uncovered the fact that it was an outdoor gig. Aha! Outdoor gigs = generators. Generators = over-voltage! Indeed this generator had provided no less than 380V 'mains' instead of the more normal 240v! Not much equipment can survive that - and his didn't! 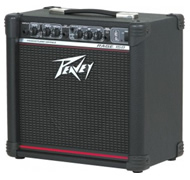 Do Solid State Amps Need 'Servicing'? Unless the amp is very old, there is little to wear out. The only issues are electrolytic capacitors (on older amps) and noisy pots (particularly on cheaper amps). 95% of solid state amps that come in to me have an identifiable, 'obvious' fault (e.g. blown output transistors). Repairing that fault solves the problem, and no further maintenance is required. Can You Supply Spare Parts Such as Valves Etc?